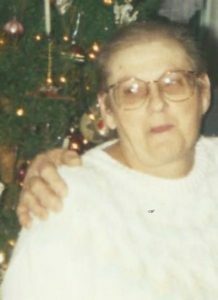 Dorothy Caswell Morrison, 81, of Canton, NY passed in her sleep February 19, 2017, the night before her 82 birthday, in Zephyrhills, FL. She was born February 20, 1935 to Andrew and Flora (Taylor) Caswell. She married James Morrison on April 11, 1953 in Canton, NY. Dorothy attended Canton Central School and graduated from Potsdam State University with a Master’s Degree. She loved teaching, loved her students and her students loved her. She retired from Canton Central School after teaching for 20 years. Dorothy will probably be remembered most for her love of teddy bears. She was a tremendous cook, a talented artist and loved to recite poems/jingles. She had a great sense of humor and was always quick with a joke. We loved her giggle. She enjoyed Jeopardy, Wheel of Fortune, crossword puzzles and playing computer solitaire. She was preceded in death by her parents; sisters, Alberta and Alma; brother, Orrin. Survivors include her beloved husband of nearly 64 years, James S. Morrison; 8 children, Sheryl Morrison ( Lynn Blackmore), James (Terry) Morrison, Andrew (Sandy) Morrison, Wrenette “Wendy” Landreth, Daniel (Cammy) Morrison, Dixie (Loren) Widrick, Lori Morrison (Robert Heman), and Scott Morrison ( Stephanie Meeker); 10 grandchildren; 3 great grandchildren; 9 siblings; numerous nieces and nephews. 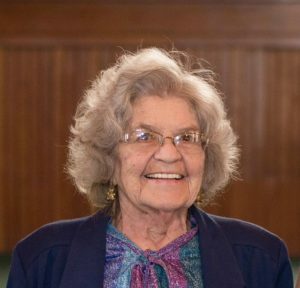 A memorial service will be held May 13, 2017 at 1:00 PM at the United Methodist Church, 4302 US HWY 11, DeKalb Jct., NY. Pastor Loren B. Widrick officiating. Reception following at the DeKalb Junction Fire Hall. In lieu of flowers donations can be made to the DeKalb Junction Fire Dept. or a charity of one’s choice. Nancy M. Seaman, 83, of Russell, died on April 16, 2017, at her home. There will be no services. She is survived by her son Scott Seaman. In lieu of flowers contributions can be made to ASPCA or Wounded Warriors Outdoor Adventures, 668 Ruddy Road, Chase Mills, New York 13621.